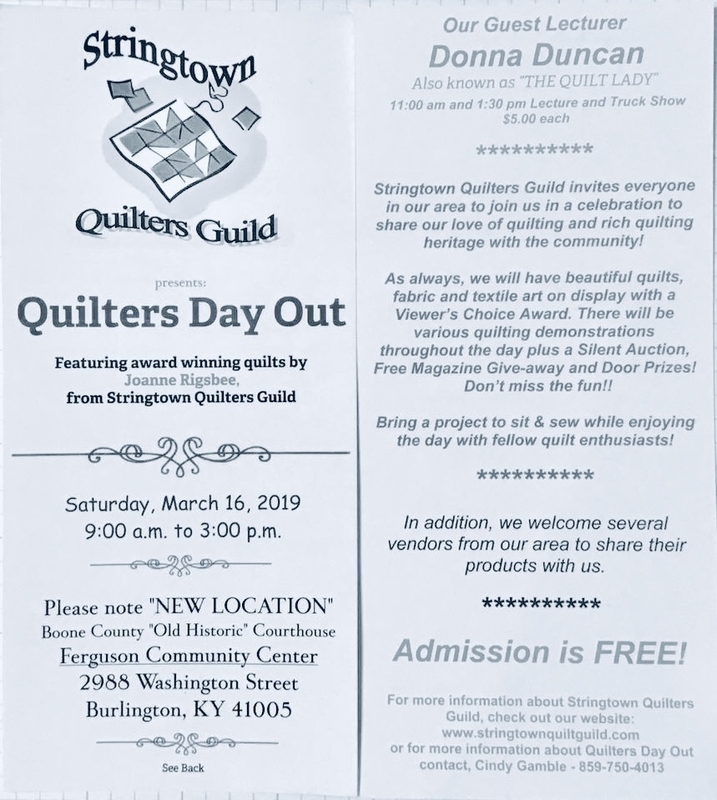 Each year the Stringtown Quilters Guild hosts a Quilter’s Day Out event celebrating National Quilt Day. There are many quilts and textile art pieces to see, demonstrations by members, a silent auction, door prizes, and vendors. The event is FREE. Enjoy the show then stop by for a visit at Cabin Arts with some specials for the day. We’re just a couple of blocks down from the Old Courthouse where the event will be held this year. There are some great restaurants in town for lunch, too! Have a fun day in Burlington!